Floriday.co.uk - Kings Bowl Coming to I-Drive! - Florida Holidays, Disney, Universal, SeaWorld - The best of Orlando! Kings Bowl Coming to I-Drive! Kings Bowl to open their first Orlando establishment as part of the I-Drive Live expansion on April 15th 2013! Kings Bowl first opened its doors in 2003 in the heart of Boston’s Back Bay. Their goal was to focus on recapturing and rekindling the fun and escape of bowling which had faded since its heyday. The 1950's and 1960's are considered to be the golden age of bowling and KINGS design and décor captured the nostalgic feeling while adding modern twists to everything they did. From the start, they set out to create a unique and memorable entertainment experience by emphasising good food, cold beer, creative cocktails, cutting edge technology and great music. They put their focus on classic, retro-inspired décor and Executive-Chef designed menus brought to life by excellent service. In doing so, KINGS launched the modern day bowling renaissance of "social bowling" which has revitalized the sport across America. Kings have announced as part of the I-Drive Live expansion they will be coming to Orlando and promise that the location will be their best yet! So there you have it! 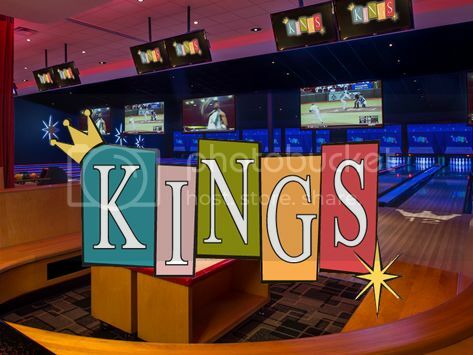 This April you will be able to bowl like a King as Kings Bowling promises to bowl a strike! Legend of Chima comes to Legoland!